It's best to know Disneyland's hours of operation before planning a trip to the Southern California theme park. The park's hours vary depending on the day of the week and time of year. Disneyland is open year-round with longer operating hours during its peak seasons such as the winter holidays and summer months. 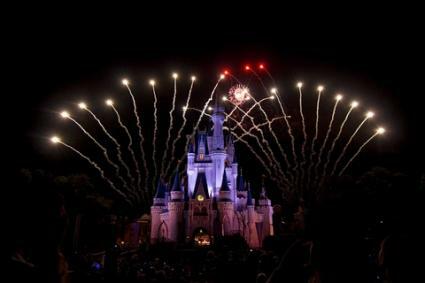 This is to accommodate the larger crowds who visit the park on vacation or the locals who want to view some of the special attractions such as light shows and fireworks. Off-season, the theme park limits the number of nighttime attractions by closing earlier, especially on weekdays. On average, more than 14 million people visit Disneyland each year. On these days, the park opens earlier and closes later because the crowds tend to be heavier. Also, if one of these holidays is on a Friday or Monday, the park's weekend traffic is higher. The posted operating hours are for the general public. However, for those guests who purchase vacation packages, one-day early entrance passes are available. This entitles them to enter the park an hour before it opens to the public. If you plan to visit California Adventure on your trip to the Disneyland Resort, note that its hours of operation are different than that of Disneyland's. Typically during the off season, the park is open from 10 a.m. to 8 p.m. Monday through Thursday and 10 a.m. to 10 p.m. Friday through Sunday. During the peak season, the park is open 10 a.m. to 10 p.m. every day of the week. Exceptions to this would include special summertime performances of World of Color, at which time the park may close at 11 p.m. If you are planning a trip to Disneyland, it is good to know the best time of year to go. If your time is flexible, consider visiting during the off season. The park may not be open as late, but the crowds will be lighter than they would during the peak season. Remember, Disneyland's hours of operation are always subject to change. Disneyland posts and updates online schedule of hours daily.